Deep Root Organics Coop is located in Johnson, VT. 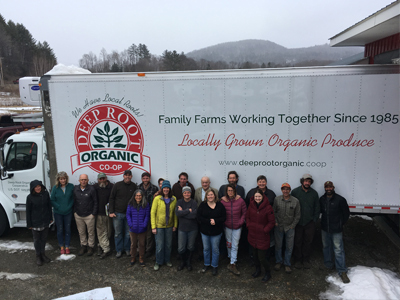 Deep Root is a cooperative of almost 20 member farms in northern Vermont and southern Quebec. Their farms grow all manner of fruits and vegetables but due to their northerly location, they're best known for their coop namesake, root vegetables. We work with Deep Root mostly in the colder months, sourcing root crops from potatoes to parsnips.